Have a reason to celebrate? Want to throw a party that will be remembered for years to come? Why not pick a cool theme, gather your friends and family, and book an NYC party boat? Booking a NYC party cruise with Skyline Cruises is the perfect way to commemorate any type of occasion or event, large or small, from weddings, engagement parties, showers, milestone birthdays, retirement celebrations, “welcome home” or farewell/bon voyage parties, sweet sixteens, quinceañeras and bar/bat mitzvahs to corporate events, fundraisers, business mixers and holiday parties. Even if the reason is as simple as getting together with family and friends you haven’t seen in a while, the Skyline Princess, our premier NYC luxury yacht, is the ideal venue. The Skyline Princess is United States Coast Guard-certified for up to 450 passengers, and Skyline offers public cruises for individuals, as well as private yacht charters. You can book our entire luxury yacht or book one of the three decks on one of our public dinner cruises. All you need to do is put together your guest list and call Skyline’s experienced staff of event planners at 718-446-1100. Our expert event planners have the know-how to walk you through every step of the party-planning process, from picking the most delicious food and drinks to choosing energetic DJ entertainment. They can help you plan an unforgettable party for any group size, from intimate parties of 10 people to parties with 100 or more guests. The backdrop of your Skyline Princess yacht charter will be awe-inspiring as it cruises past such iconic New York City landmarks as the Empire State Building, the Freedom Tower, the Chrysler Building, the Brooklyn Bridge, Ellis Island and Governors Island, the South Street Seaport, Chelsea Piers and the United Nations headquarters. Beach Party: What better way to celebrate sun, sand, and surf than throwing a beach party! From sandal-shaped sandwiches and surfboard-shaped invitations to the casual dress of surfers, you can really recreate the beach in any season! 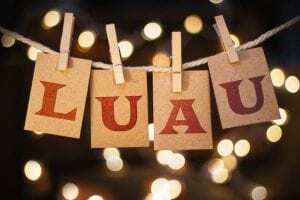 Luau Night: Here’s an opportunity to break out your finest Hawaiian shirt and prettiest grass skirt! Your “leied” back theme can include everything from décor featuring palm trees, tiki masks and coconuts to food and drinks native to Hawaii. Pirate Party: There’s no better opportunity for this fun theme than a party on a boat! You can go subtle and include the theme on everything from invitations to the décor, or go all out, with a costume contest for the best pirate costume, best pirate speak and puffiest shirt, à la Seinfeld. Gilligan’s Island Party: Your guests can dress up as their favorite characters from this classic TV show and go on a three-hour tour of New York Harbor. A prize for the best costume or Gilligan’s Island trivia contest adds a fun, competitive touch. Murder on the High Seas: In this exciting murder mystery game, your guests are given clues to solve a murder. Throughout dinner, scenes are played out by actors, who are also available to guests to answer questions and provide extra clues. At the end of the night, a prize is awarded to the one who solved the mystery. Other bonus ideas include a “Captain’s Dinner” or “Day on the Deck” to keep with the yacht setting or a retro Love Boat theme to keep with the idea of being out on the water.